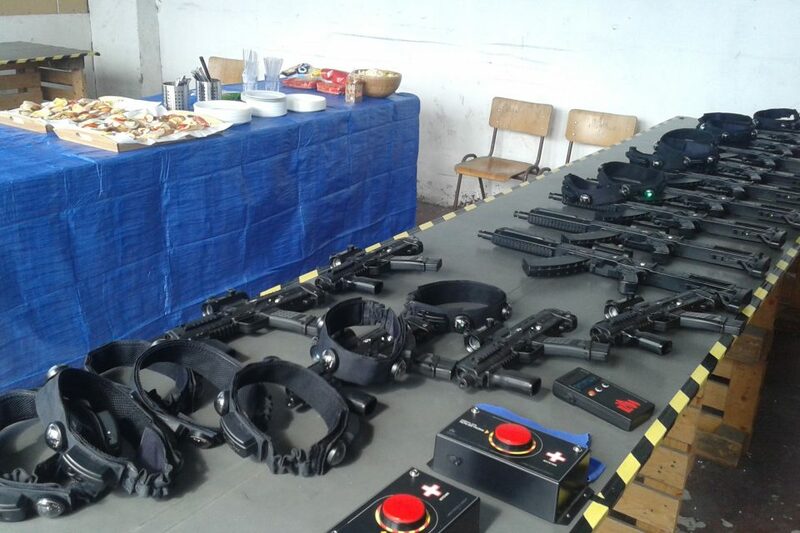 Our arena is equipped with top-modern laser tag weapons and equipment, certified and safe to use. Effective range of our weapons is between 100m – 150m, depending on weather conditions. Weapon emits realistic shooting sound after trigger pull, imitating real weapon shooting. Players are equipped with lasertag headband together with weapon. 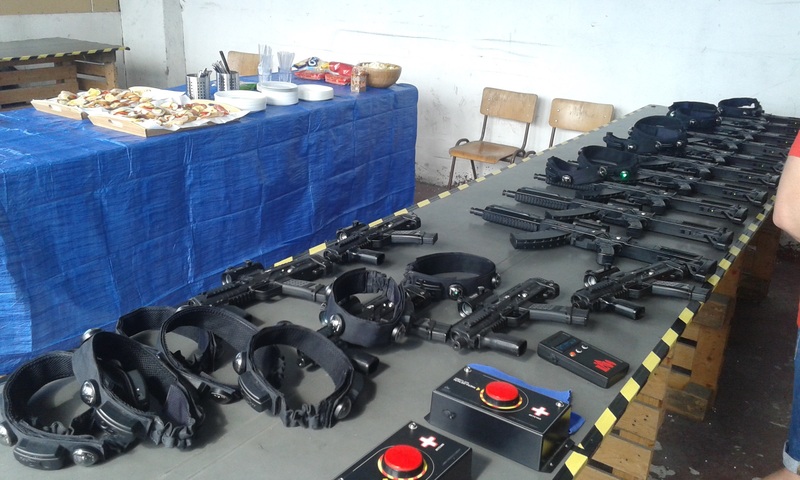 For lasertag game you need only comfortable clothes, for the outdoor gameplay we can rent you camo overalls if needed.